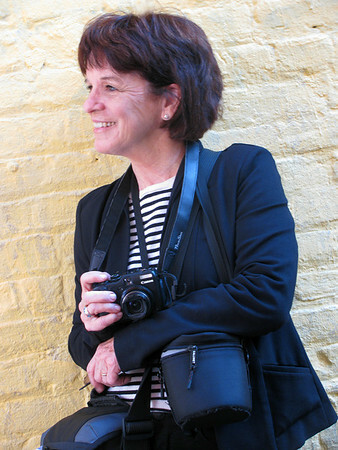 Kathi has shared her professional portrait studios since 2003 with Bay Area children excited to learn about photography from a pro. In 2017 Kathi transitioned out of private year round studio space and now teaches at SF school locations and short term rental studios and from her beautiful home studio on Alamo Square. 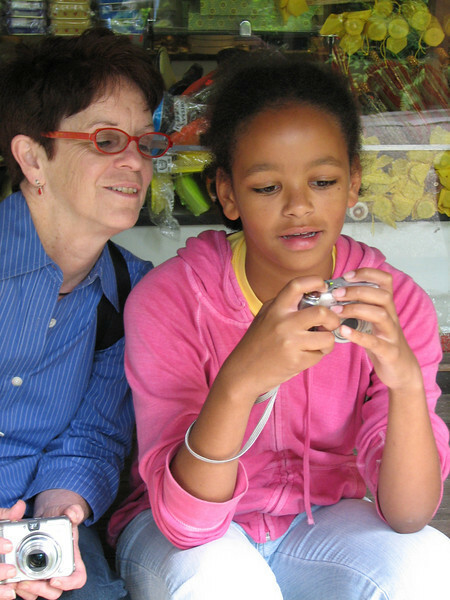 She still teaches on-to-one, leads field trips, after school and Summerfoto camps. 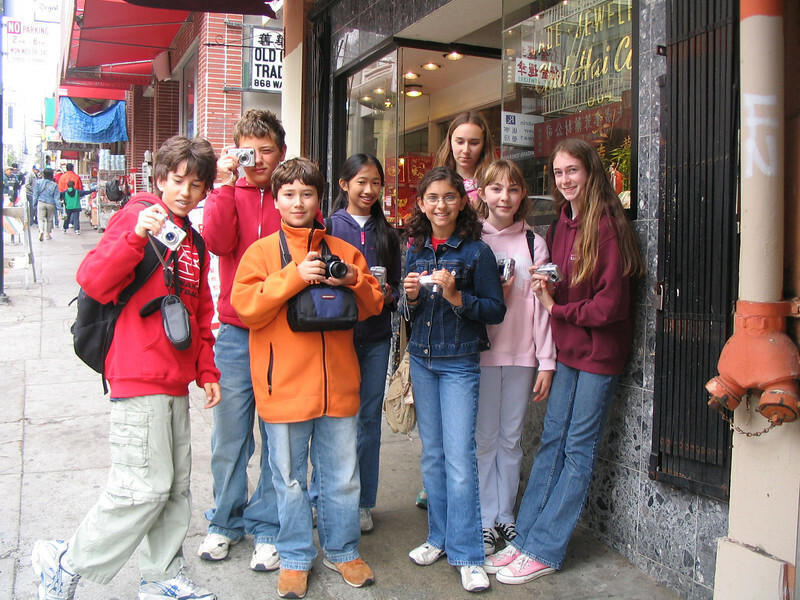 Professional photographer, Kathi O’Leary, provides comprehensive instruction in photography for students ages 8 and up who are excited to capture the world around them. Contact Kathi for an amazing opportunity to grow in the study of photography, increase vision and skill and complete projects that provide accomplishment, and for older students, a ready portfolio for upper school and employment applications. We cover a range of curriculum, including advanced camera controls, history of photography, portrait techniques, lighting, and location, editorial and street photography, plus Photoshop, Lightroom, printing and book making! As always the main goal of Kathi's photography school is to encourage and enable self-expression with any digital camera and to have her students see the world from the perspective of a photographer.Through group critique, students learn how to tell great images from ones that don't quite work. Using Photoshop Lightroom, they organize and jury their work to create an on-line portfolio of best images. 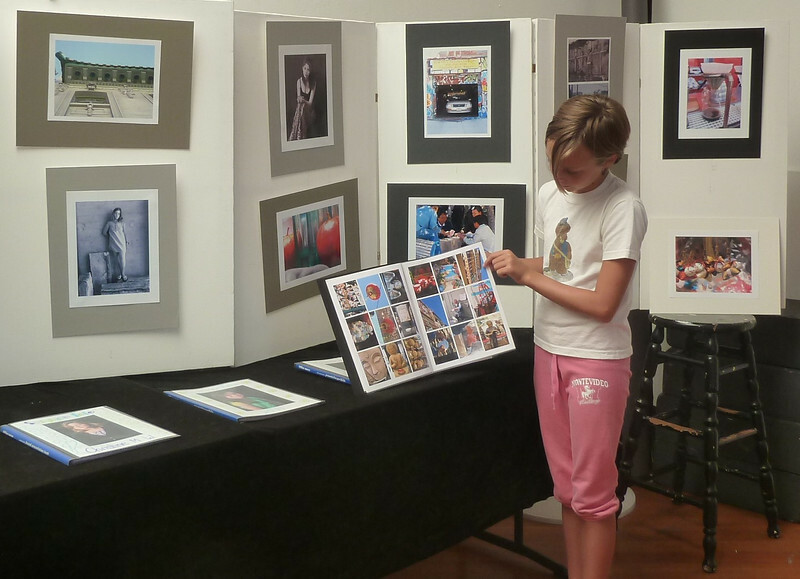 Workshops end with a show of favorite images, printed and matted by the students and hung for a show presented to family and friends. 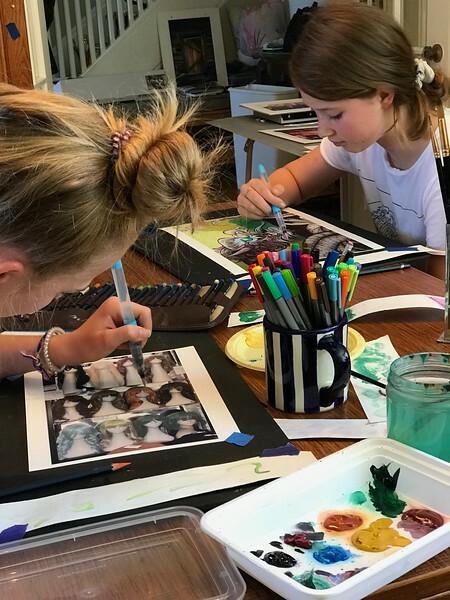 Parents, if your child is looking for an entry into a life-long skill, or that one "thing" to call their own, you will find Kathi's workshops offer the photography skills and inspiration they need in a visually stimulating environment. Grown-ups, we are happy to treat you with the same care and attention lavished upon the kids and assure that you will shoot as well as they do in a few lessons! Students present their favorite portrait, abstract and location photo juried down from hundreds of images taken during our week-long workshops. They print, mat and hang the show and speak to the assembled parents and friends about their images. Studio portrait day is an opportunity to be the model and then be the photographer. Students learn about lighting effects and ratios and how to relax their subject. Some students particularly like to pose. We find they are very relaxed being photographed by other students. As a bonus, parents get a copy of the images shot by the other kids so they take home a great set of portraits of their child. Looking at photographs is as important as taking photographs. 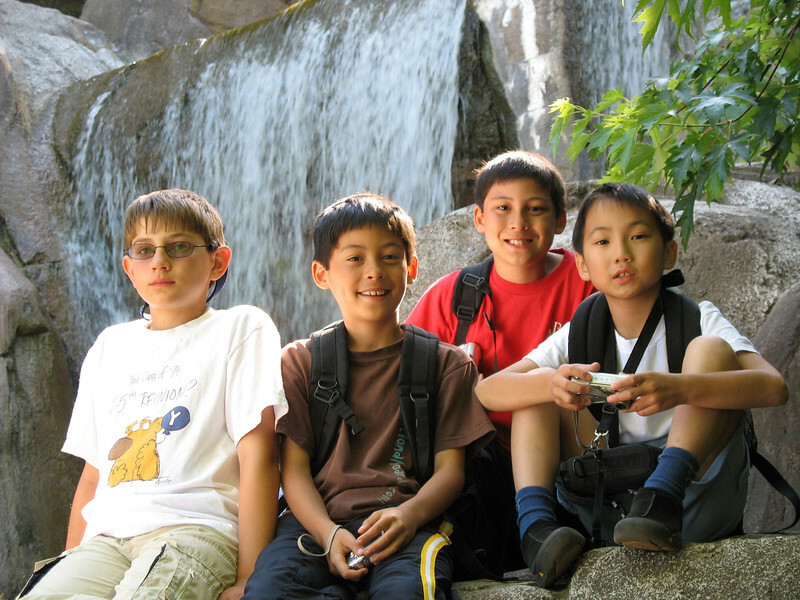 The Japanese Tea Garden in Golden Gate Park is one of the favorite destinations for our fieldtrip. Students learn to adjust for varying lighting conditions, and how to isolate their subjects. 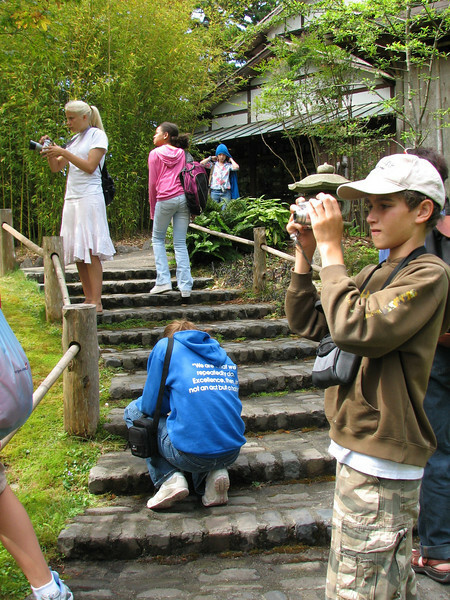 Students search for themes that represent the feel of the garden. Kathi takes a look at images while on a field trip. Feedback helps the students adjust manual settings and be aware of composition and lighting. 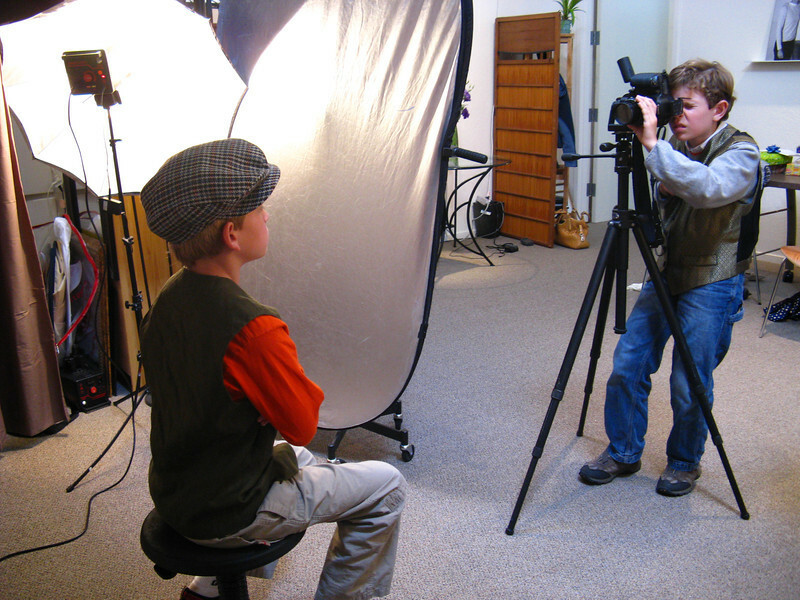 Left: Our studio lighting set up is available to the students who trade places as photographer and model. 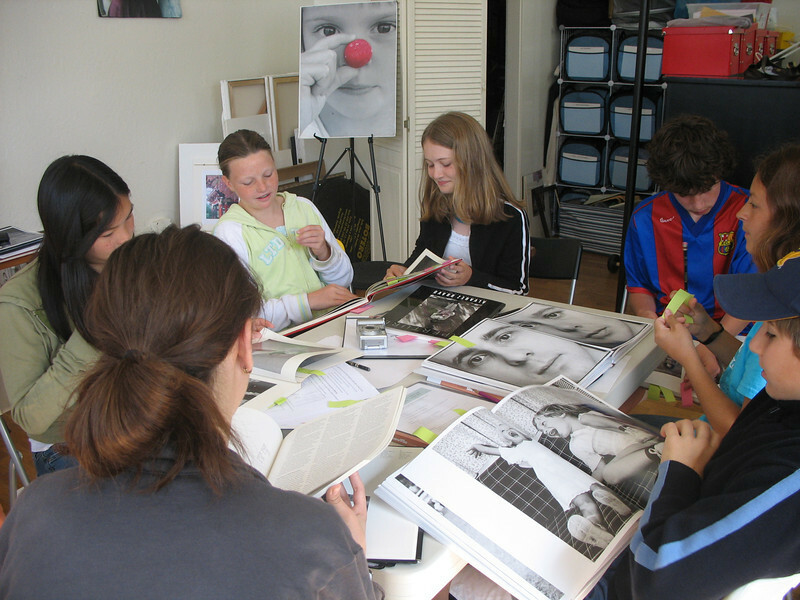 RIght: Students review our photo book library to learn from professional photographers' work and to discuss what images appeal to the student and why. Through our group critique, students learn how to tell great images from ones that don't work. Using Photoshop Lightroom, we organize and jury our work to create a on-line portfolio of best shots of portraits, abstracts and location images.